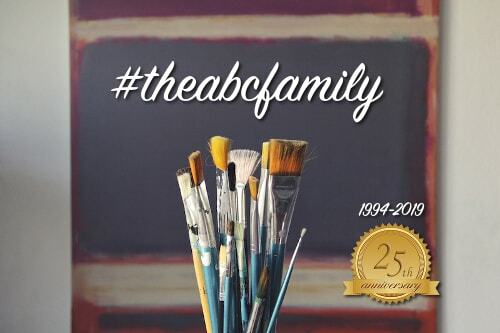 ABC Pediatrics is preparing for our 25th ANNIVERSARY! Over the next several months, you’ll notice improvement projects all around our office. We’re excited to keep ABC Pediatrics in tip-top shape for YOU, our extended family! Please bear with us as our transformations take place. Prepping for our 25th by asking for some new artwork.. from you! Over the years, our staff and health care team have considered it a privilege to receive and display countless pieces of artwork created exclusively by ABC Pediatrics’ patients. These pieces of art have been displayed on our walls for many years as a testament to the talent of many of our patients. Regrettably, due to the daily exposure to fluorescent lighting, several of the pieces have suffered fading and damage. Part of our planned office space improvements is to display newly created wall art throughout the office. As a result of our daily interactions with our patients, we realize that there is a vast pool of budding and aspiring artistic talents in our pediatric community. ABC Pediatrics is inspired and motivated by this artistic energy. We are committed to supporting and encouraging the artistic development and expression of our patients. To this end, we are calling for all artistically inclined patients of ABC Pediatrics to consider sharing their talent with us. For our part, over the next several weeks, ABC Pediatrics will provide a blank, framed canvas to any member of our patient family who would like to create and share a memorable piece of original art to be displayed in our office. We will offer various sizes of framed canvas, from 8X10 to 16X20 so that patients can choose the canvas size that best suits their artistic ideas. Interested patients will be invited to take a blank canvas home, make it their own masterpiece and return it to our office by March 28th, 2018. Once we begin receiving the completed artwork, our social media platform (Facebook and Instagram) will be utilized to get each submitted piece of artwork viewed by art lovers throughout our surrounding communities! We intend to have the artwork placed into the following age categories: 5 – 7 years, 8 to 11 years, 12 – 15 years, and 16 years and older. Ten pieces of artwork in each age category receiving the highest numbers of likes and feedback will then be judged by our ABC Pediatrics’ Health Care Team for originality, style, artistic ability and eye appeal. One winner in each category will be named to receive a First Place ribbon and a $100 gift card! Winners will be announced on our social media page on Friday, April 13th. The First Place artwork in each age category will then be displayed in a prominent location at ABC Pediatrics. Additionally, ALL artwork submissions will be eligible to be displayed throughout our office as space permits. 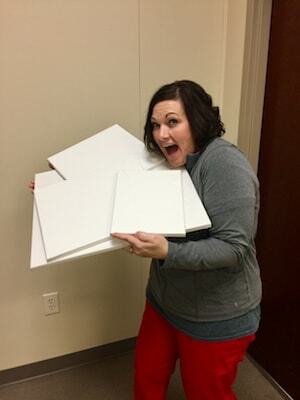 We have the canvases already.. We just need the artists! Blank canvases will be available from now until Mid-March, or until our supply is exhausted. For more information or to pick up your child’s blank canvas, please contact our Office Administrator, Deanna Fulcher. 910-892-1333, ext 2226 or dfulcher@abcpediatrics.org. THANK YOU! in advance for offering to share your talents and for enabling us to display extra special artwork in our office!